1Cover currently has 0 opportunities. 1Cover is simply a great place to work. Why? 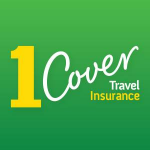 We are a leading international travel insurance provider with operations in Australia, New Zealand and the UK. Our key philosophy is that our customers and employees are the most important people in our company. At 1Cover we believe you should explore the world and return home safely. That is why we provide all travellers with travel insurance they can count on. We are a travel insurance brand unlike any other, we are quirky, fun, and charismatic.